Love that you include text in the video. Can't watch with audio at the office, but the text allows me to scan through the video and get the updates. Thank you, as always! I thought there was a new shooter weapon trait as well? 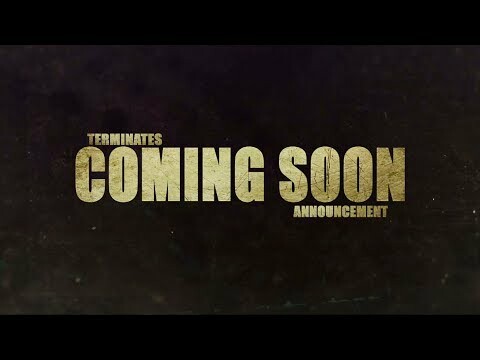 ^^^ I second that and great job as always @Terminates. Weapon Trait: Double Tap. Shooters will have a powerful new Trait for managing crowds of walkers or tough human enemies. Looks like they dropped that then. @Terminates It sounded like a pretty important trait so I expected to see it in the CC notes. Not being in the CC notes I figured they have dropped it. Unfortunately the Double Tap trait won’t be released in Update 2.8. During QA we noticed a bug that couldn’t be fixed in the short time frame remaining before release and we weren’t comfortable releasing the trait with. We’ll release an announcement regarding this tomorrow. What about challenge starting level??? Survivors level 20-23 will start the challenge at RSL 14 and triple at 19. @Edd8 All prior announced changes to trait balance, challenge balance etc will go ahead as planned. @Teeceezy can you also confirm that the Training Gear trait is different from what had previously announced? This one actually makes a lot more sense than the previous one. @JayZ Thats a great question since something about "increasing training speed for survivors" was the original plan. These traits do seem cool but seems like I'd want to have them on different pieces of gear thus creating a "farming gear" a "flame walker gear" and "regular use gear"
@DLich Even sniper harness seems like its mostly for outposts and raiding...since you only get the damage reduction and extra damage "in cover". I don't really see too many maps with "cover" unless a raider is involved...right? @Terminates it’s only in cover? Damn I shoulda paid better attention. Yeah need human defenders / freemen for cover to even be a thing. That’s wacko tobacco. Training gear seems cool. Especially when gold with Maggie and on double xp booster. Training gear is 20/30/40 percent bonus xp. Oh wait. Does that stack? Does Maggie’s 40% stack on top of the traits 40%? Or is it applied before. Let’s say xp is 1K for a walker. Just to make numbers smooth. Is it 1000 base + 40% trait (1400) plus Maggie’s 40% bringing it to 1960? Or is it base 1000 plus (Maggie’s 40% + traits 40% = 80%) which is 1800? I'm guessing that for the armor, only that survivor gets the bonus if they get the killing blow in... speculation for sure, but I don't see them giving you a blanket % increase for all walkers killed by anyone on a team with an armor trait. To answer your math question, I think testing is going to be required. Will there be a way to see what the rewards are in normal or hard mode of The Distance before choosing? How come supplies storage would be possible to upgrade to 11 if currently in the game it is written the requirement is council level 23? Thanks, @Terminates . Some of our guild members did the normal Distance yesterday, so they told us what was in it. I actually ended up trying it on a Distance reset. It wasn't too bad. Lots of food (which right now isn't a bad thing) and XP, 15 Ezekiel tokens, 30 Dwight tokens, 45 Merle tokens, and a bunch of scout and assault tokens.